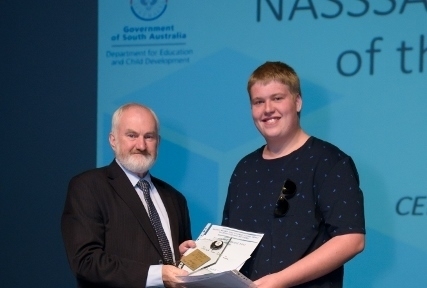 The NASSSA VET Student of the Year Awards recognise students who have demonstrated exceptional skill, commitment and/or achievement while undertaking a NASSSA Vocational Education and Training (VET) in Schools program or School Based Apprenticeship. In 2017, they were held at the Shedley Theatre, Elizabeth, on Tuesday December 12th. 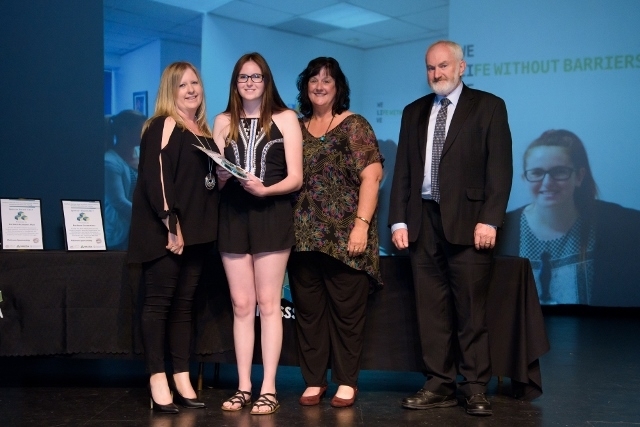 NASSSA School Based Apprentice of the Year for 2017 was Tamara Bakker-Rennie from Craigmore High School (Cert III in Business Administration) pictured receiving her award from Mr Mick O'Neill along with her employer representatives. 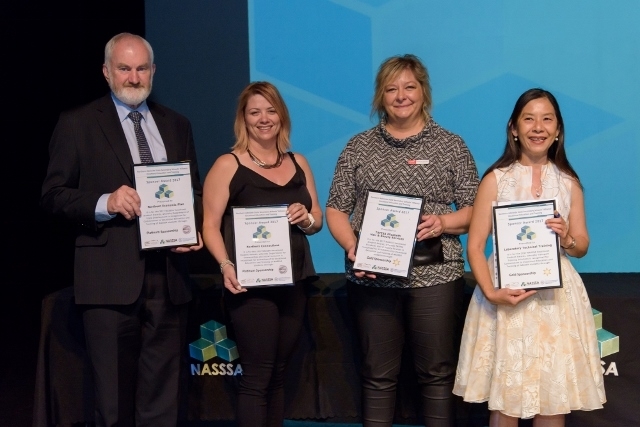 Sponsors of the awards (above L to R) included Department of State Development (Northern Economic Plan) & Department of Communities & Social Inclusion, Northern Connections (absent), TAFESA Hair & Beauty (Elizabeth) and LTT Group (Lab Tech Training). 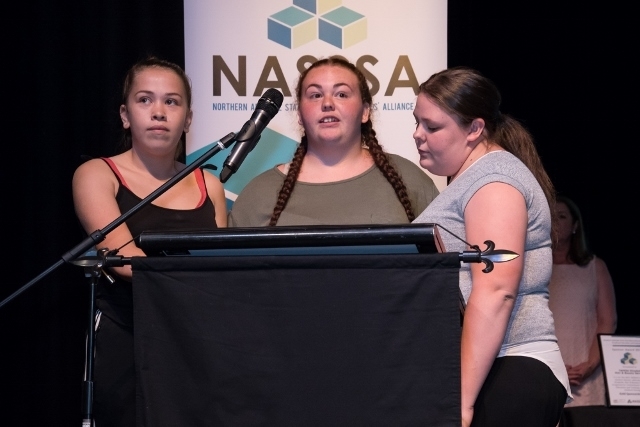 The Workabout Centre also supported the event and three students from the inaugural Certificate III in Learning an Endangered Aboriginal Language provided the Acknowledgement of Country (below). Also, approximately 40 trainers present at the Awards received a Certificate of Recognition and Appreciation. The NASSSA VET Team (below) collaboratively ensure nearly 1,000 students every year, can follow their identified passion in Vocational Training. An amazing group, with young people at the 'centre' of everything they do!